Did you know that not taking care about your workplace mats can cost you money? Why? It’s important to put the right mat into the right place. Alsco can help and show you how to keep your workplace entrances perfectly clean at all times. Why the need to keep it clean at all times? Well, a mat that is not perfectly clean may turn into a disease spreading source. Diseases cause poor employee productivity, absenteeism, and sick days. Mats that are made of the wrong materials may fail to serve their overall purpose – that is to trap dirt and prevent slipping. And if mats are not properly maintained on a regular basis, they tend to give customers the impression that hygiene is not your business’ top priority. How do all of these things put your business in a bad light and affect profit? Simple enough – dirty mats mean diseases. In other words, it costs your business money. A dirty entrance shows lack of care and can hurt the company image – again, you lose money. When all this adds up, you may end up losing more money than you should. Luckily, this can go the other way around, as well. Good logo mats will boost company image. 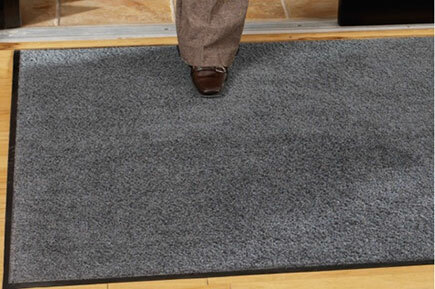 Spotless mats that prevent dirt build-up will ensure clean entrance. Moreover, high quality mats protect your employee health. Here are the most commonly used mats, their features, how to use them, and what could go wrong about them. What is it: A mat that you place in the busy areas, so that it can protect the floor and reduce the amount of dirt brought in from the outside. High traffic mat has a gritted back to stick to the floor and provide stability. The front is made of nylon threads that scrub dirt off shoe soles. How to use it: Place it all over the entrance area and other busy areas so that it cannot be avoided. What can go wrong: You might place it in the wrong area where its properties will not be used properly. If it is not cleaned thoroughly and frequently, the germs that are stuck on it may start to spread. How does it affect your business: When used properly, it is a welcoming and useful surface that protects your employees from getting sick, slipping, and tripping. This reduces absenteeism and the number of sick days. What is it: A comfortable mat with a logo of your company printed on it. How to use it: Place it in the entrance area, or in front of the receptionist’s desk. Make sure that your corporate logo is very obvious and well printed and that the colours used match the surroundings and the colours of your company. What can go wrong: If you put a corporate logo mat on the very entrance and fail to clean it regularly, it will send a wrong message about your company. A dirty corporate logo gives out the impression of a company that is not diligent about its business. This drives the clients away. How does it affect your business: A welcoming message rises the brand awareness. Also, your reception area is the first point of communication between your company and the client. The way your clients see the reception is the way they see the entire company. Adding a clean and bright corporate logo gives out the impression of professionalism and strong business. What is it: A mat with a brand message that can be placed in hallways, aisles, and other similar places at showrooms and retail shops. How to use it: Place the advertising mat on the floor that is frequented by the customers. Use a clear message and your corporate colours for recognisability. If used in retail shops, place them in the aisles where your type of product is sold. What can go wrong: Just like with all other mats, you cannot afford to have this type of mat poorly cleaned and maintained. Also, you should not place it on the floor of the unfrequented spots at a fair or a shop, because they will not do their job properly. Moreover, being shunned on the side may even worsen your brand image. How does it affect your business: Properly positioned and cleaned advertising mat will mentally prepare the customers to buy from you before they reach your booth in a fair or product in a store. They will have the feeling of being familiar with the brand when they see it on display which makes them more prone to choosing it among the others. Also, it allows you to use more of your retail space for advertising. What is it: A carefully designed mat that reduces strains and fatigue caused by prolonged periods of standing at one place. How to use it: Offer anti-fatigue mat to those employees that stand or sit for prolonged periods of time. It can be used in heavy industry since it is very durable and resistant, manages spillages, and fights off bacteria. It prevents slipping, tripping, and spreading of infectious germs. What can go wrong: The only thing that can go wrong is failing to use the anti-fatigue mat for your business. This means that your workers will be healthier and more productive. In terms of money, it means less sick days and more efficient work. A common thing for all of these mats is that you should never allow them to be dirty and worn out. However, being a business owner, you must have better things to do than go around and check on your mats. You may hire a cleaning crew and they will do their best, but there is only as much as there can be done with regular, everyday cleaning products. You do not have to buy these mats. 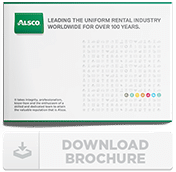 Alsco will rent them to you for a fair, monthly fee, tailored to the needs of your establishment. However, we include regular industrial cleaning services at that price, as well. In other words, you do not have to do anything. We come to your premises, replace the floor mats and take the old ones back in for a thorough industrial cleaning. Call our user-friendly and knowledgeable representatives to learn more and set up this service for yourself.